I love Elderberry season! 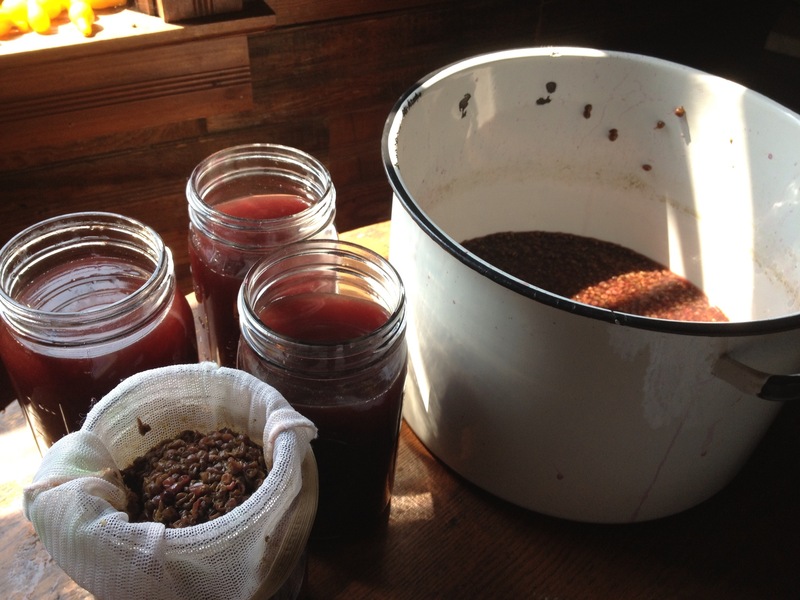 Last year I shared with you how to make Elderberry Elixir. This year, it’s Elderberry Syrup. 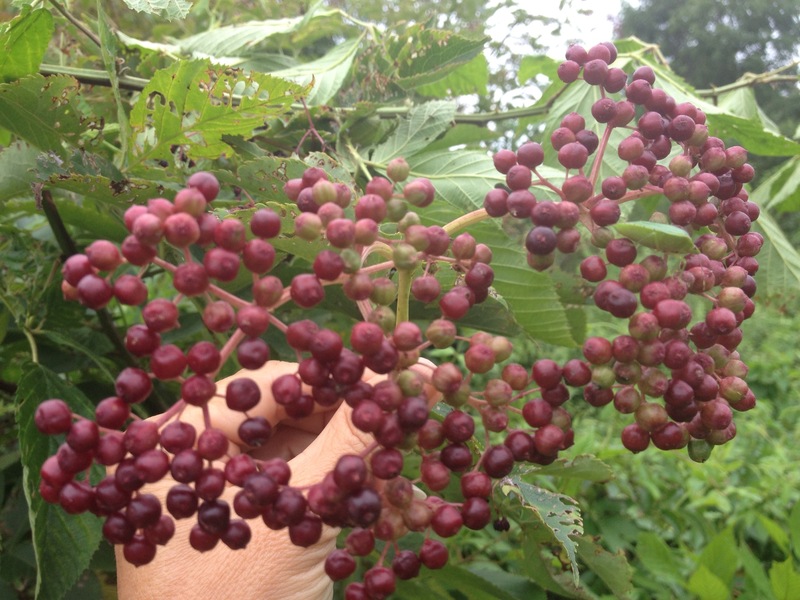 Elderberry packs a POWERFUL health punch! 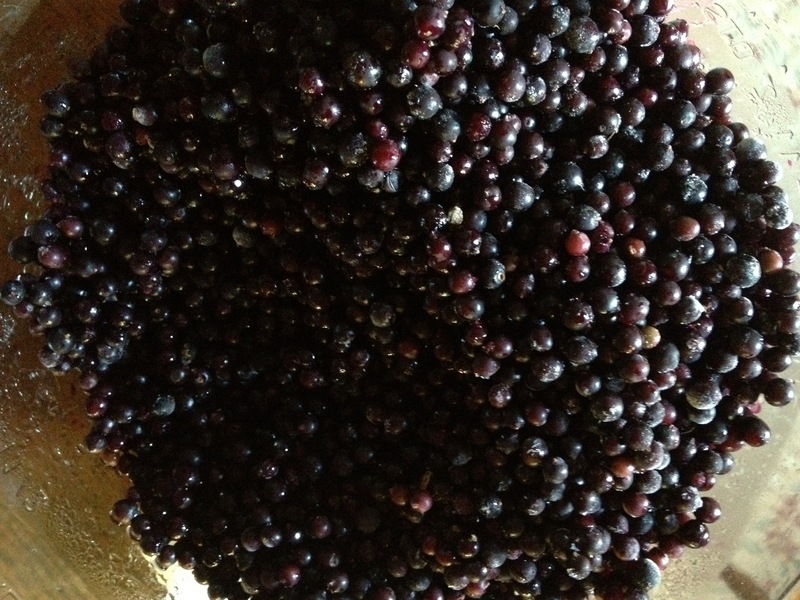 If you don’t have access to fresh Elderberry, you can use dried. 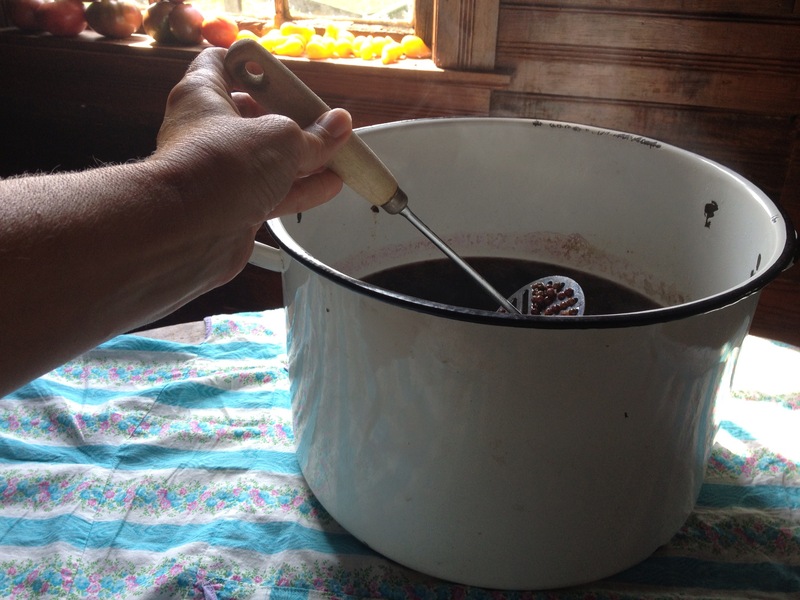 Scientific studies are finding Elderberry to inhibit several strains of the flu and cold. Helps in reduction of coughing by helping to inhibit excess mucus and helps fight sinus infections by reducing mucus. It has traditionally been used to relive pain and for inflammation. Elderberry helps strengthen the immune system so you don’t get these dreadful sicknesses to begin with. The berries contain powerful flavonoids and antioxidants. 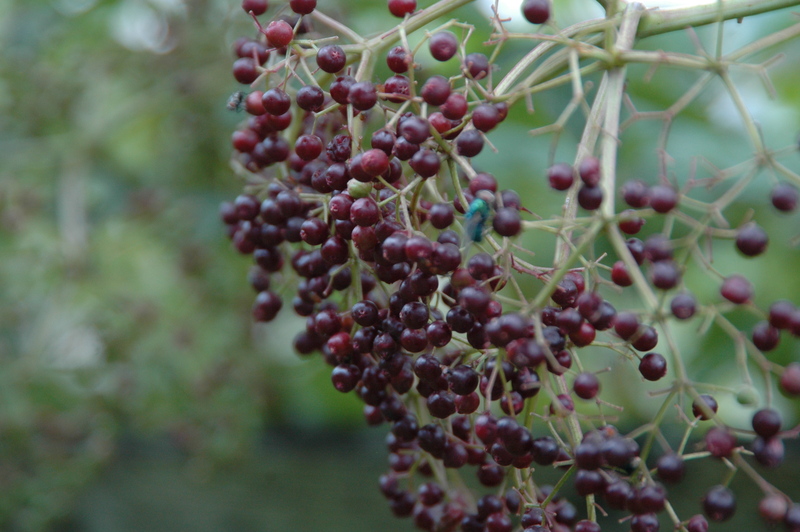 Studies at preliminary stages are indicating that Elderberry may also be beneficial to those suffering from HIV and the herpes virus. The recipe is super easy and the flavor delightful. Take a teaspoon twice a day for preventive care. Take three teaspoons four times a day if exposed or if sick. Enjoy your health! Last year I was repeatedly exposed to sickness and not once got anything. 1. Take berries off stems. Stems are poisonous. 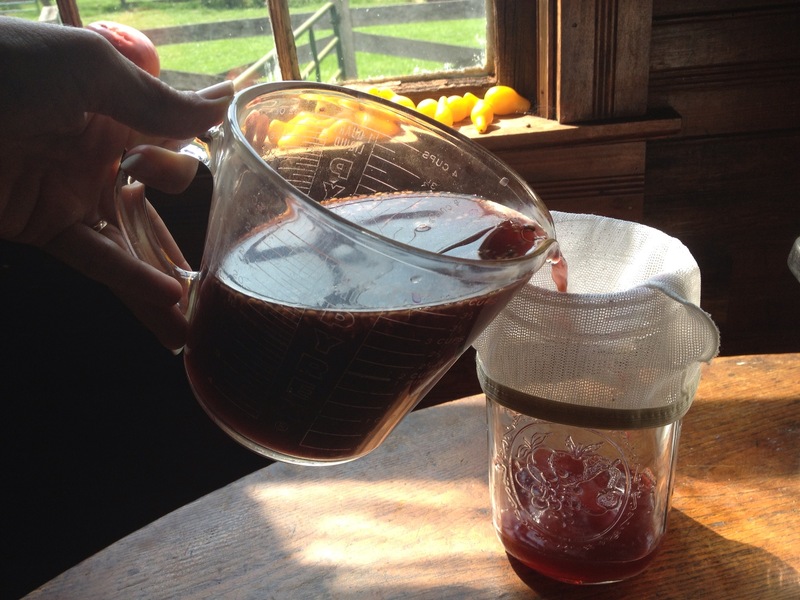 Rinse berries and make sure there are no unripe berries in your batch. 2. In a pot add rinsed berries and water. Bring to boil. Lower heat to simmer. Simmer for 30 mins. 3. Take off heat. 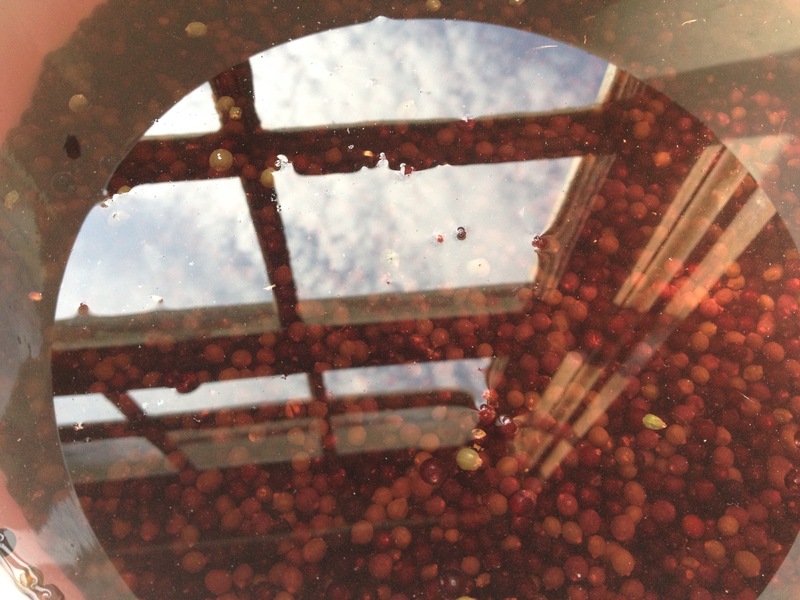 Mash berries in water and let sit ’til liquid is room temperature. 4. 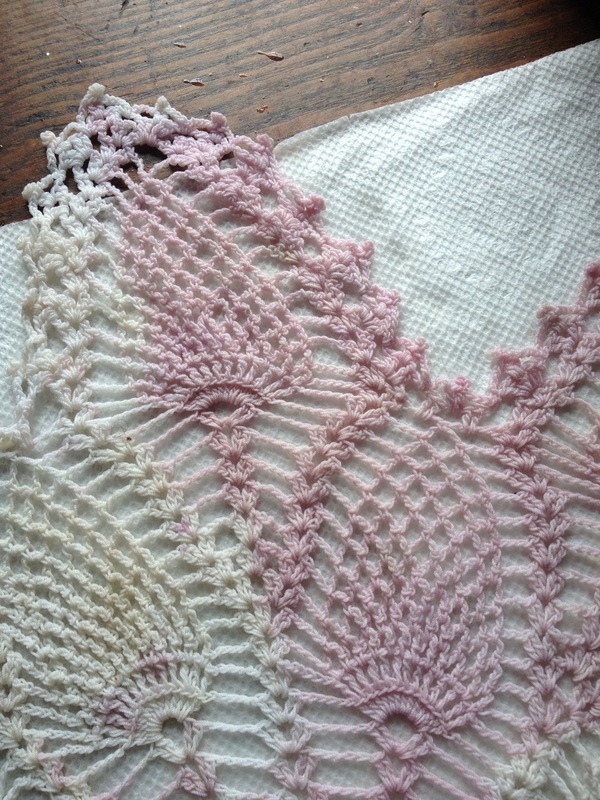 Strain through cheesecloth or fine meshing. Squeezing all the goodness out of the berries. 5. 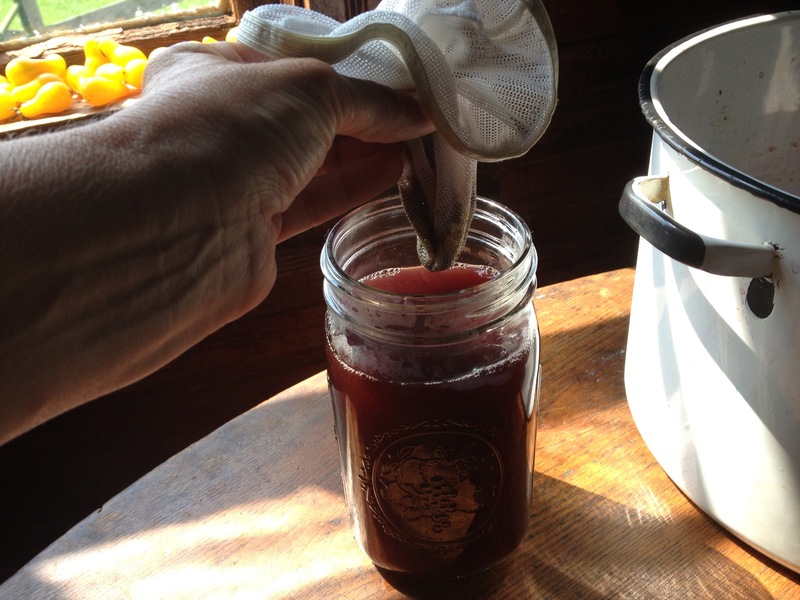 Stir raw honey into strained Elderberry juice. Make sure the juice is no higher than 100 degrees. If it is it will kill the live enzymes in the honey. 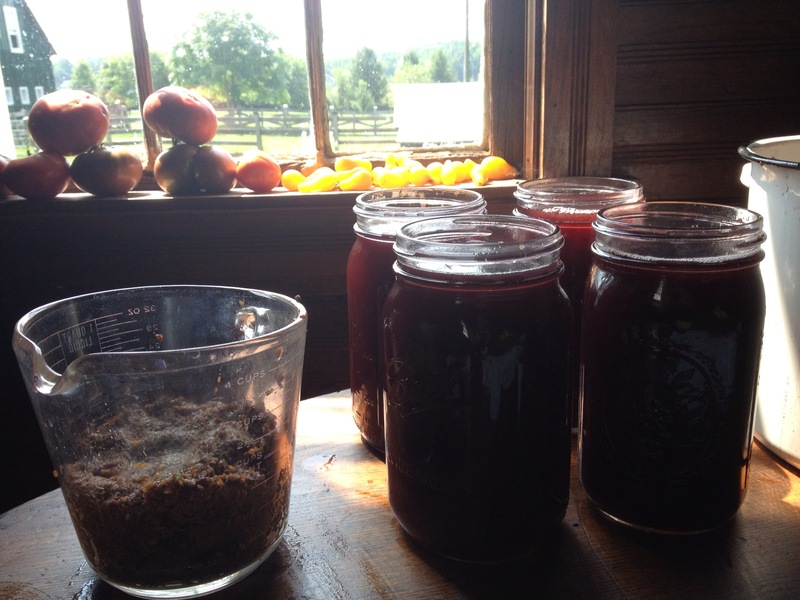 The live enzymes will keep the Elderberry syrup preserved longer. 6. Stir whole batch and then pour into jars. I keep one in the refrigerator and others go in the freezer. 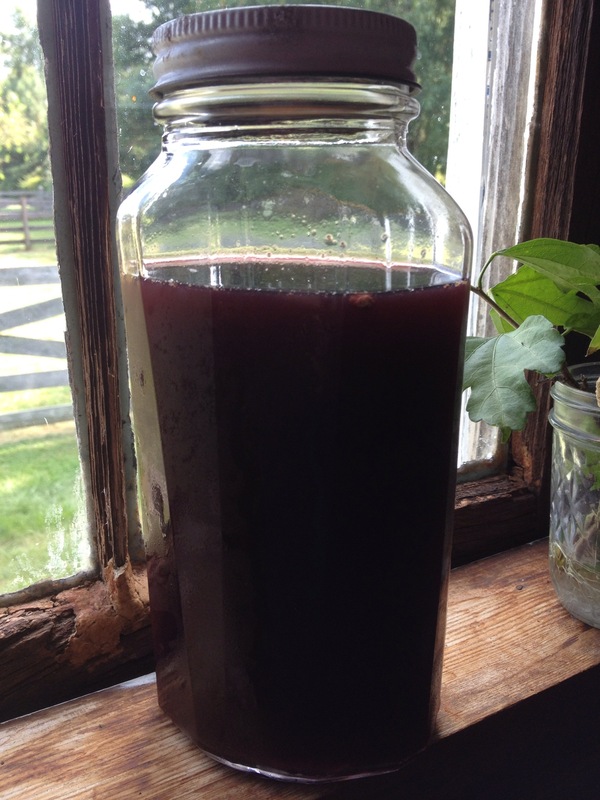 Elderberry elixir is never frozen. Mine from last year is still good. I put all the berries in a a big pot and pour water over top the berries to rinse. All the stuff you don’t want floats to the top; unripe berries, dirt, leaves, stems. Dump water out. Cook the berries in the water for 30 min’s simmering. Then crush the berries in the water. Let rest for an hour till temperature is 100 or below. Squeeze all the goodness out of the berries. Strain the berries over cheese clothe or netting. Mine is a yogurt straining net that I bought years ago from Stonyfield. Too hot to add the honey. It would kill the beneficial live enzymes. Perfect. Now I can add the honey and it won’t kill the enzymes. Only use RAW HONEY- never heated. This jar of amazingly powerful syrup with go in my refrigerator. It will be good for many months. 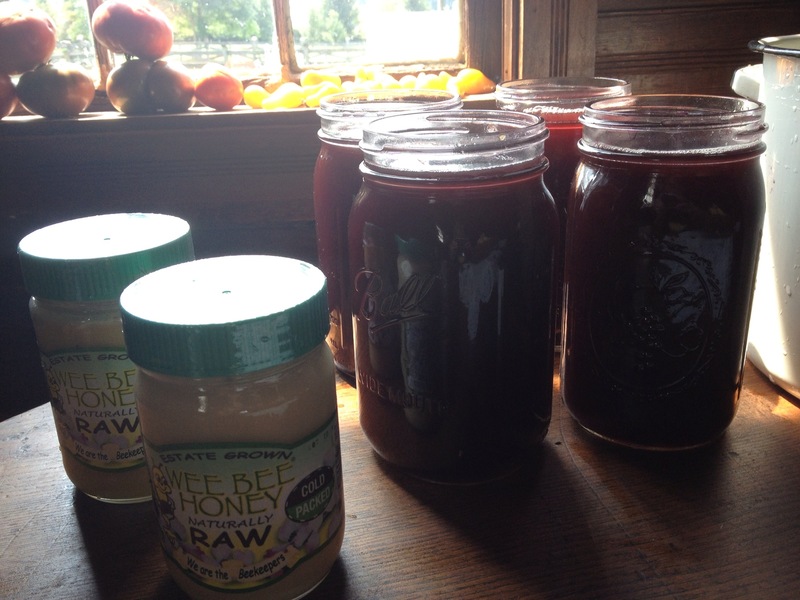 The only way for it to last is using raw honey. If you use heated honey the syrup could mold in a month. 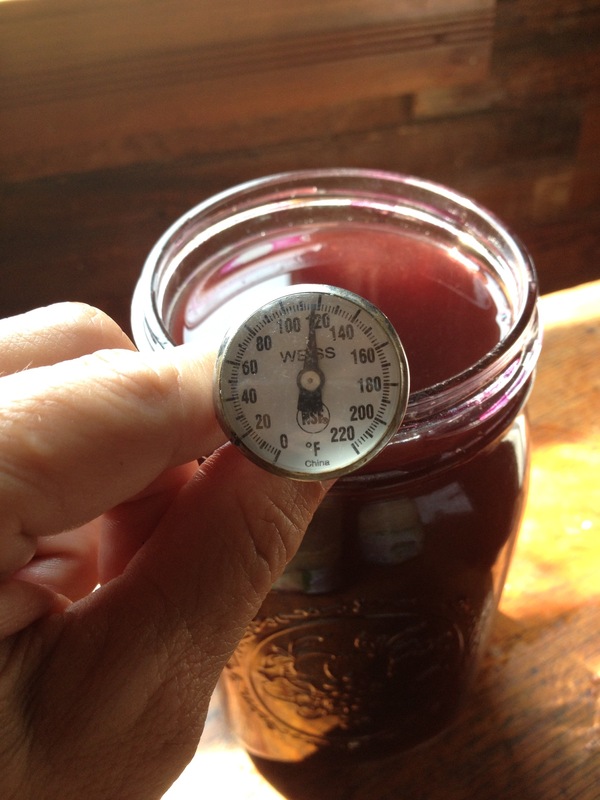 Vintage jar from late 1800 holds elderberry syrup. 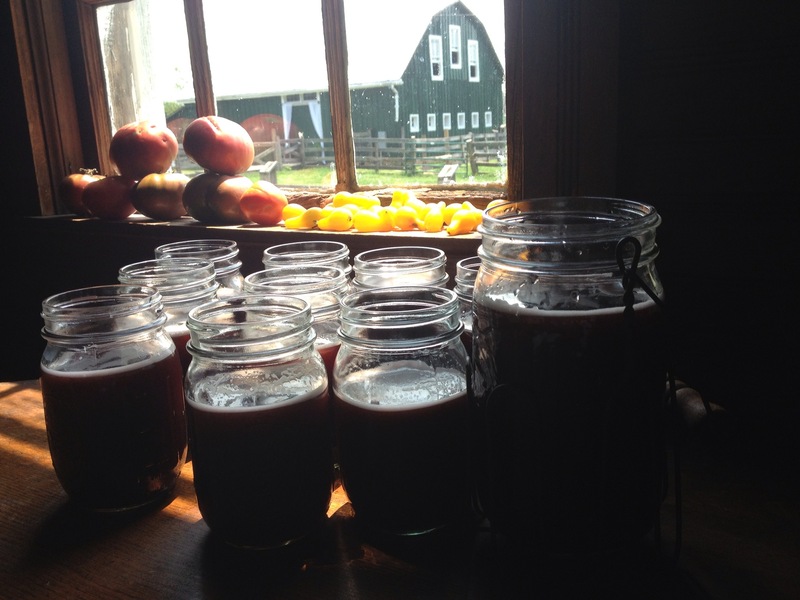 The rest of the jars will go into the freezer to use over the winter. I’ve had very sick people appear at my door asking for my elderberry elixir and syrup. I gave some and prayed for them and they got well. . .
Oh no, Becky! I didn't get that! You got my address right! Let me look in the spam folder. . . Send me a message again! I'm so sorry about that! It's not in trash or spam folder, Becky! Would you send another email? How would I make this with dried elderberries? Lisa, You would use the same proportions. 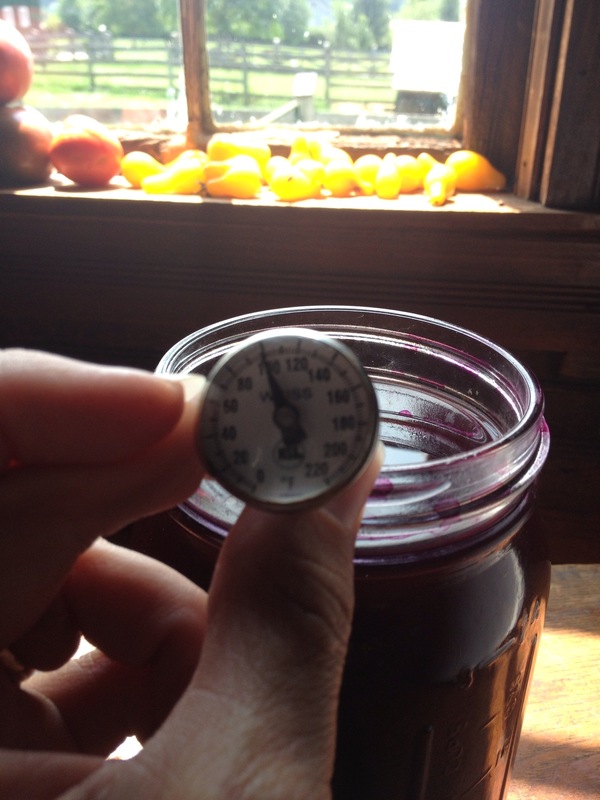 When the water comes to a boil and you simmer the berries, the berries will fully hydrate. You're do all the same processes! Hugs! Thanks Sharon. Same for the elixer? Would the brandy rehydrate them? Sorry for all the questions. I'm new to the whole homeopathic world!!! I've never used dried for the elixir Lisa, but I've seen other people do it! Where can I find dried or fresh Elderberries? 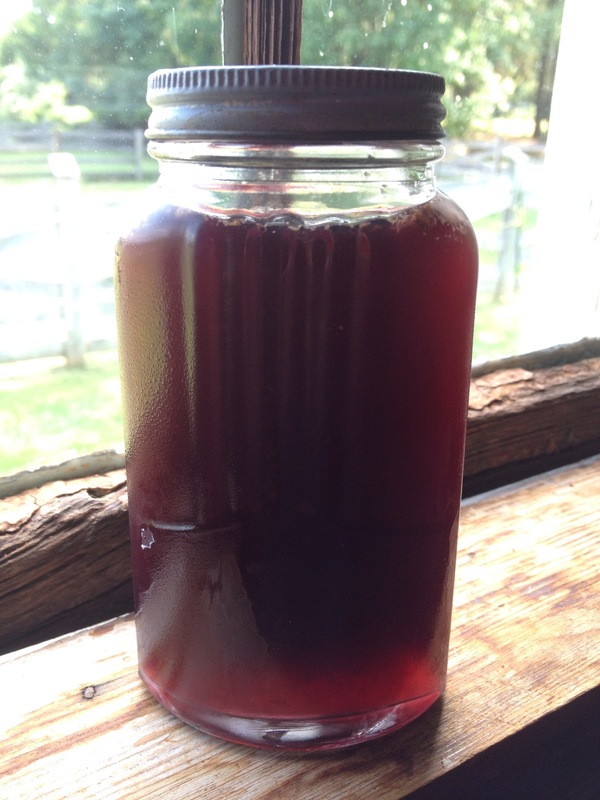 We have Gaia Elderberry Syrup at home and the kids take it often! But it can be expensive store-bought! And does have the added sugar. Winner of Last Weeks Drawing is. . .